Dominance, thy name is Brock Lesnar. Emerging from the dairy farms of Webster, South Dakota, this man has grown up to become one of the most feared opponents in the squared circle and the octagon. 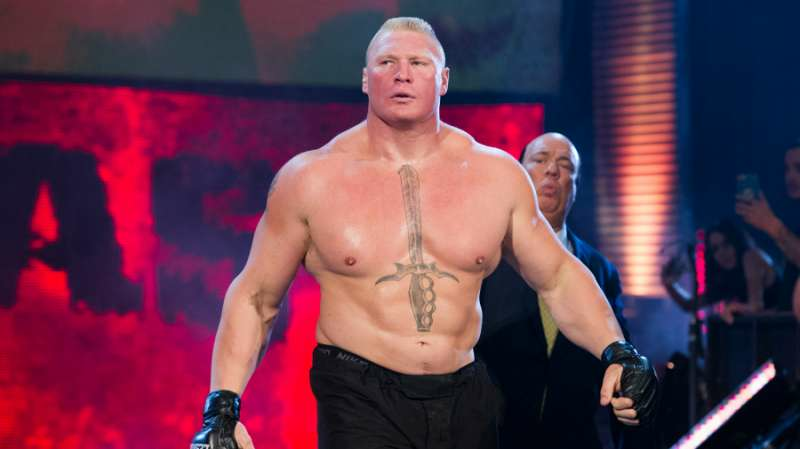 Brock Lesnar is one of the richest pro wrestlers with a net worth of $16,000,000. He has a unique appeal about him that gets more buys for every event that he is advertised. Lesnar’s purple patch started with the launch of his UFC career. Lesnar only had one win in his MMA career when he made his UFC debut. Touted as ‘The Next Big Thing’ when he burst on to the scene in the early 2000s, Lesnar has lived up to that name. He is today, one of the biggest box office attractions in both the combat sports and sports entertainment industry guaranteed to sell out arenas, the world over. Read more: Brock Lesnar’s tattoos – what do they signify? Lesnar has had a terrific career that has been both impressive and memorable. He had his humble beginnings in amateur wrestling at Bismarck State College and The University of Minnesota where he held a staggering record of 106 wins and a meagre 5 losses. He won the NCAA Division I collegiate wrestling championship while at the University of Minnesota. Naturally, when WWE came looking for a new talent, Brock fit the mould and was subsequently placed in the developmental territory of Ohio Valley Wrestling. So how much cash does the ‘Beast Incarnate’ really take home after every match? Brock’s WWE contract is an eyesore to many of his colleagues. Not that Brock cares - he just shows up, beats his opponents to a pulp, takes them to Suplex City and drives back home. He was thrown in shark infested waters when he had to face Frank Mir. Despite dominating most of the match, Lesnar had to tap out to a kneebar. This loss didn’t affect his paycheck though as Lesnar took home a lavish $250,000 from the fight while Mir collected only $80,000. Lesnar’s bank account would continue to swell up as he when from strength to strength. With a 1-1 record, Lesnar challenged veteran and then-heavyweight champion Randy Couture. Lesnar won the bout and walked away with $450,000 that included a win bonus. In a rematch against Mir that was marred with trash talk and controversy, Lesnar avenged his loss and earned $400,000 while doing so. Given the fine physical specimen that he is, Lesnar returned to defend his title after an attack of diverticulitis. This time, he faced Shane Carwin. But the result was the same with Lesnar winning and walking away with another $400,000. But Lesnar’s title reign came to a screeching halt when Cain Valasquez downed him with a flurry of devastating strikes. Even though Lesnar had lost the fight, he was richer by $400,000. Lesnar took on kick boxing specialist Alistair Overeem in a classic “striker vs. wrestler” matchup. Lesnar’s looked out of sorts as Overeem put him away with a lethal roundhouse kick to the body. Lesnar pocketed $400,000, despite the loss and looked like he was out of the UFC for good. By now, Lesnar had become a star attraction and the WWE realised this. They mended fences with him and Lesnar returned to WWE in 2012 in a segment where John Cena took an F5 while the WWE Universe watched in frenzied disbelief. Lesnar had signed a lucrative three-year deal to the tune of $5,000,000 a year. This kept him in the company till WrestleMania 31. In these three years, Lesnar has been at his dominant best first defeating CM Punk at SummerSlam 2013, then breaking the Undertaker’s WrestleMania streak as well as mauling John Cena at SummerSlam 2014 to become the WWE Champion. During WrestleMania week in 2015, Lesnar went on SportsCenter to announce that would renew his contract with Vince and the WWE. Lesnar made another appearance on ESPN this year to announce that he would be returning to the octagon for UFC 200 to face Mark Hunt. It was here that Brock Lesnar made history when he walked away with $2,500,000 which is the highest disclosed payout in the history of UFC. Currently, Brock’s WWE contract pays him roughly $6,000,000 behind Cena, The Rock and The Undertaker. Brock also gets huge sums from his WWE merchandise sales such as T-shirts and action figures as well as other endorsements. Although not a very social person, Brock has bagged some lucrative deals with companies such as Everlast and Jimmy Johns. 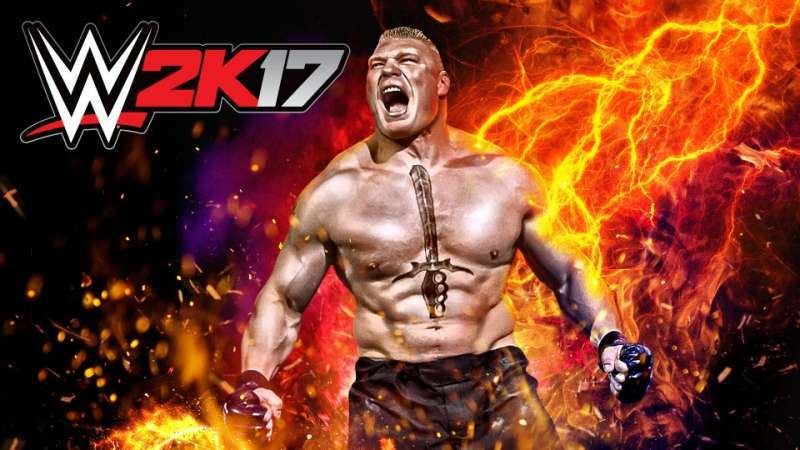 He also made the cover of the new WWE 2K17 game. With his size and athleticism, comes the power to attract views. Brock is that sort of genetic freak that comes once in a lifetime and changes the course of history. He is currently one of the highest earners in the business who works on a part-time contract and gets full-time money. A dream job for anyone.